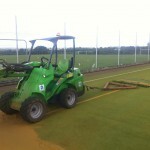 There are a number of different sand filled specifications to choose from when you decide to install a 2G synthetic turf sports facility. 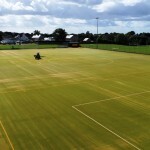 We can offer a range of sand filled surface designs in different dimensions and area sizes which provide perfect playing characteristics for sports such as football, hockey and tennis. 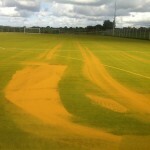 You can contact our team today to find out more about these sports pitch designs and the prices for installation. Just let us know the details of your project including an area size and location so we can provide an accurate quote. The 2G sand filled specification surfacing is made of a vertical pile carpet with a 22-24mm pile height, a layer of silica sand infill is installed at the base of the grass fibres. This sand infill makes the surface durable and long lasting, as well as enhancing playing characteristics for the sports you want to play. 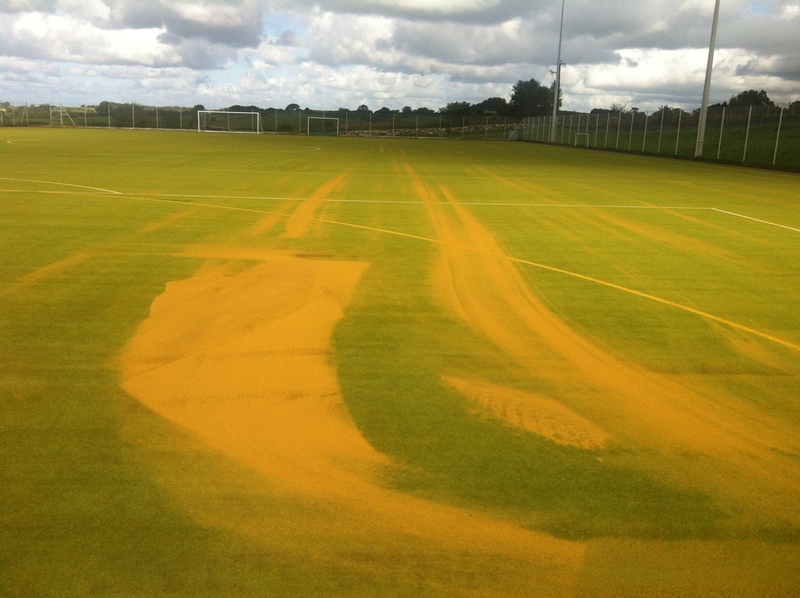 You can also have inlaid line marking installed as part of the sand filled surface designs; these can be applied in a range of colours to distinguish between different sports if you want to create a multi use games area. 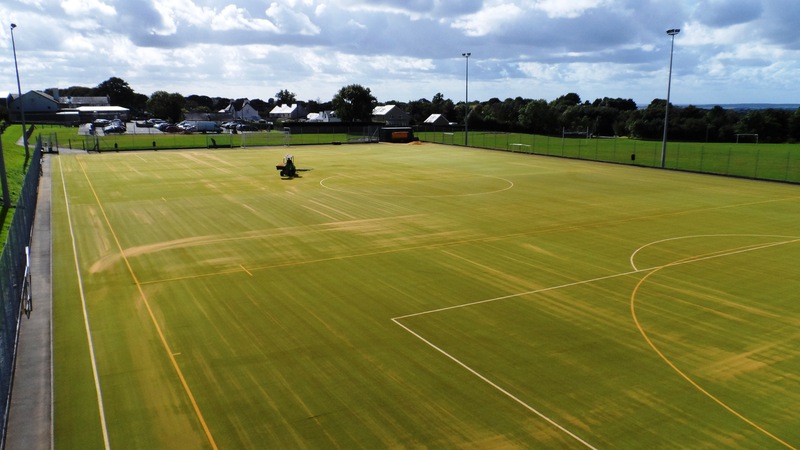 Another great quality of the sand filled specification and the sub base is that all the layers are completely porous, allowing water to drain straight through to prevent flooding, this means the 2G synthetic surfacing can be used as an all weather facility. The installation process for the 2G sand filled specification consists of a geotextile membrane to prevent the growth of plants through the surface, then a dynamic stone sub base and a layer of engineered porous macadam to stabilise the ground, next a shockpad to provide impact absorption, and finally the sand filled synthetic grass carpet itself. 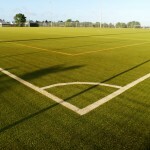 We can help you customise a number of bespoke designs for sand filled surfacing which meet the performance characteristics for the sports you want to play, while still fitting within your budget to ensure you get a sports facility you’ll be completely happy with. 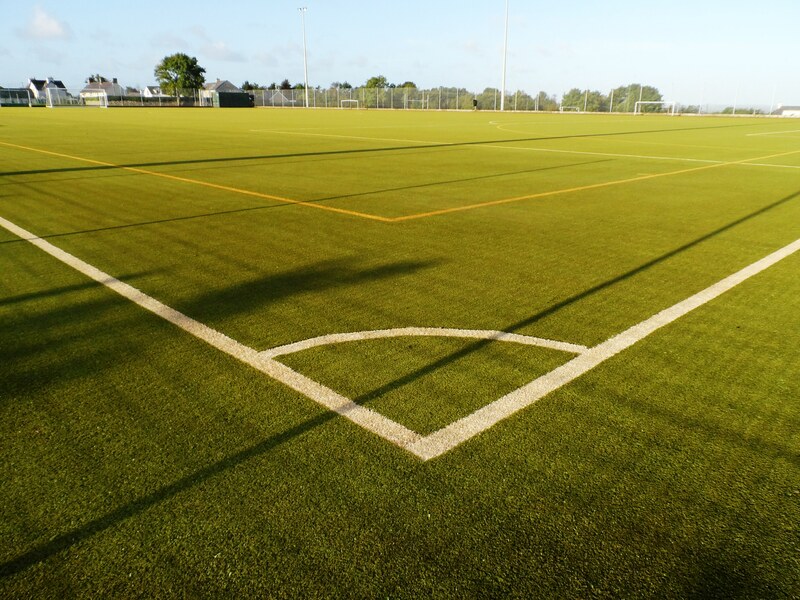 Your sand filled specification can be altered to fit the area size and dimensions of the existing space you have available, so you could choose to have a full sized 2G sports pitch or a smaller pitch if you have limited space or want to reduce costs. 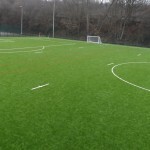 Our aim is to help you design a sand filled specification which gives you the sports facility you’re looking for but at a great value price, so we can tailor a flexible quote to suit individual surface specifications and budget requirements. There is also a range of additional equipment and accessories which you can include within the sand filled surface designs to help you make the most of the overall installation. 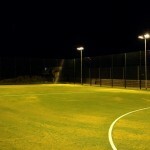 Some of these extras include sports rebound fencing in a range of heights, floodlights to allow the 2G pitch to be used outside of daylight hours, and maintenance equipment so you can keep your sand filled surfacing in top condition for as long as possible. 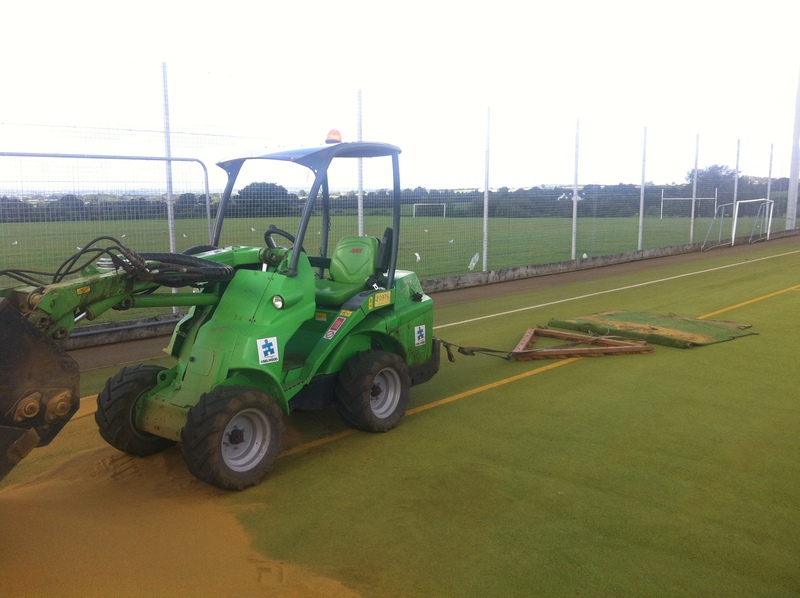 It’s important to consider all of these extra options when you’re looking into creating a sand filled specification for your sports facility, this will ensure you get the best overall sport surface which will have great performance qualities and be suitable for use for a long time. If you need any more information or details on costs to installed the sand filled specification, please use our contact form to send us your details. We will get back to you with an estimate on the price to install or maintain one of these surfaces, as well as product sheets and case study examples of projects we have completed. As experienced contractors we have worked with plenty of schools and local clubs so don’t hesitate to ask us if you need some professional advice. We’ll get back to you as soon as we can with all the information you need on costs.